In a check-box society that functions by dividing us into neatly-defined categories, where does someone with a strong mind and a weak body fit in? 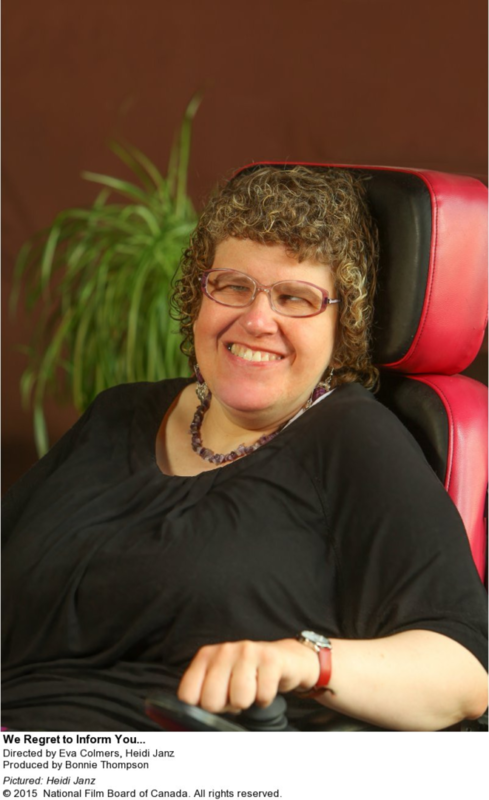 Dr. Heidi Janz - award-winning playwright, accomplished academic, and self-described ‘crip’ – has a curious problem. Despite her obvious physical limitations she is denied financial assistance from government programs because of her “productive” mind. Following Heidi through her everyday life, with all its unique responsibilities, opportunities, and challenges, We Regret to Inform You offers an unsentimental and unapologetic look at what it means to be both “disabled” and “productive”.